Our teaching methodology is designed by our highest caliber faculty and focused on maximizing the educational experience of students and demonstrate proficiency in the core of Physics, Chemistry, Mathematics & Biology. Regular Classroom teaching of each subject Physics, Chemistry, Mathematics & Biology by the highly talented and dedicated faculty who are brimming with rich experience and a passion to teach IIT - JEE & NEET | AIIMS | JIPMER. Concept Building Process through theory, illustrations etc. focused on clarifying the concepts from the basic level to the highest level of competition with a result oriented well balanced approach. Daily Practice Tests(DPT) sheets / Modules / Question bank etc., prepared by highly professional and innovative R & D are given for solving at home and it is followed by thorough discussion in the class by the expert faculty and thus enables the students to assimilate knowledge and sharpen their problem solving skills in the core of every discipline. Periodic Batch Reshuffling of students to inculcate competitive spirit and form homogenous batches that help to provide extra input to the students in weak areas while ensuring the best for all. Periodic and Cumulative Tests are conducted on regular basis and each test is discussed by the expert faculty. A thorough analysis of the test paper is carried out so that the students can learn critical aspects to enhance their accuracy and scoring ability. The tests are designed to appraise the learning and academic performance as well as the progress of the students and provide a very competitive environment that replicates the real IIT - JEE & NEET | AIIMS | JIPMER to a large extent. 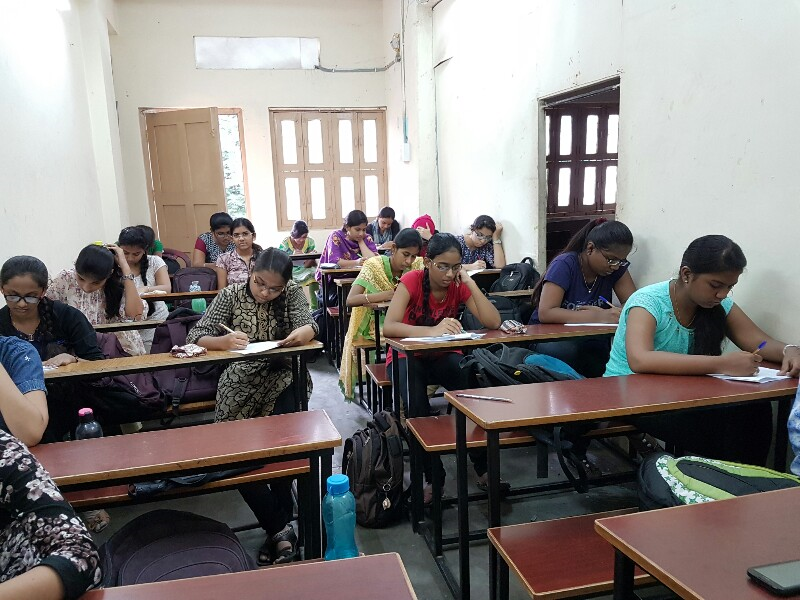 The tests build up the confidence and the examination temperament of the students.